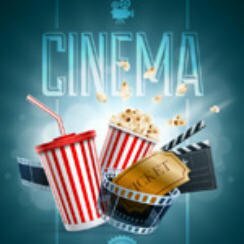 Popcorn Cinema Show takes a look at the weeks cinema releases for 20 November 2015 in the UK, US, Australia and New Zealand along with their film trailers. So what’s our first new release? Jennifer Lawrence stars in The Hunger Games: Mockingjay Part 2 which releases in both the UK & US this week. Just to clarify Christopher Nolan is not believed to have any connection to the remake. Well I can’t wait for the reboot, oh no wait actually I can! Donald Sutherland Unhappy at Remake? “Don’t embarrass yourselves by participating in it. It’s bulls**t. It was a piece of work indelibly written by Nicholas Roeg. So another week in the movie world and we are still talking about yet more remakes/reboots, lets wait and see what’s going to be announced this time next week! The nation of Panem is now at war, Katniss confronts President Snow (Donald Sutherland) in what will be the final showdown. A team of investigators, along with their supervisor, are torn apart by the news that one of their own teenage daughters has been brutally murdered. An expert dressmaker Myrtle “Tilly” Dunnage (Kate Winslet) returns home to a small town in rural Australia. Armed with her sewing machine she transforms the women and exacts revenge on those who accused her of murder. When a woman meets an IT expert he seems to be the perfect guy, however soon after she discovers a violent side and she breaks off the relationship. He decides to take revenge and causes disruption to her life. Three lifelong best friends set out to find the Holy Grail of Christmas parties. So there are your movie releases this week, we would say the two films that may be of interest are The Hunger Games: Mockingjay Part 2 and maybe the thriller Secret in Their Eyes. Let us know what you think about the weeks releases or anything film related in the news this week, simply subscribe and leave a comment. Why not bookmark Popcorn Cinema Show, and never miss a new releases!